Unique HDPE* floatation framework that provides superior buoyancy, strength and stability. 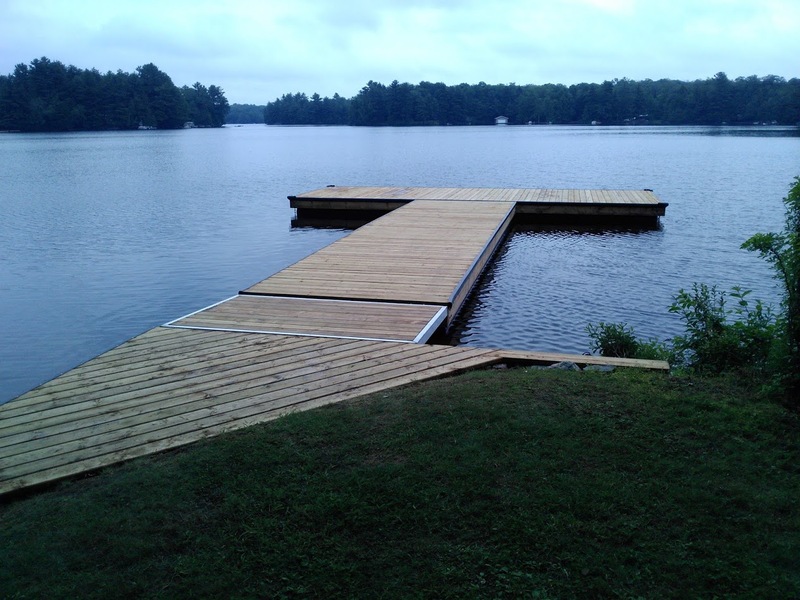 The Pro Series floating docks are the ultimate in high quality, premium performance docks. 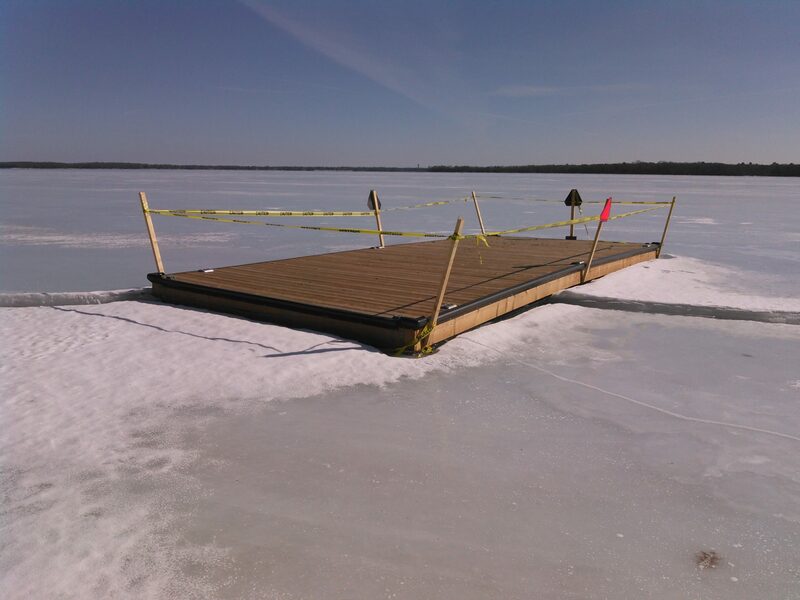 Not only does the heavy duty HDPE pipe frame act as the floatation system but its longitudinal and lateral welded frame gives the dock superior compression and torsional strength ideal if you choose to leave the dock in the ice over winter. 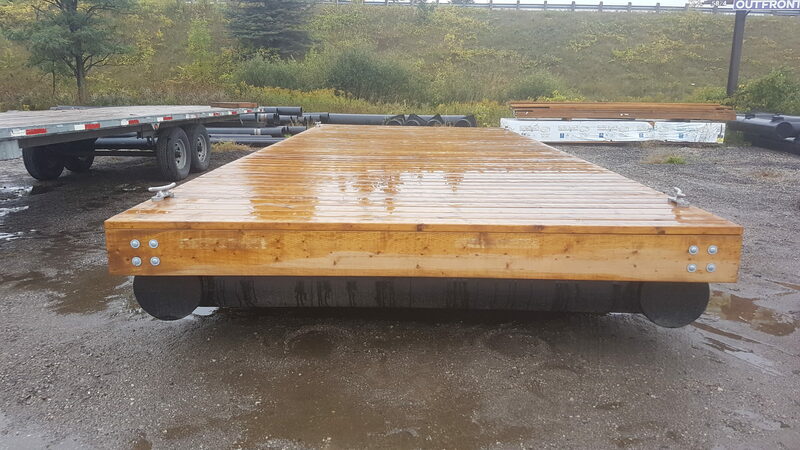 WHITEWATER floating dock units can be custom manufactured in lengths up to 30’ and widths up to 10’ or more. The pipe is high quality Commercial grade plastic pipe. Featuring commercial grade construction techniques, the Pro Series docks can be utilized as a single unit or arranged into various multi-unit configurations to suit a multitude of waterfront scenarios ranging from simple recreational layouts to full-scale marina systems. Wood framing consists of 4″ x 4” pressure treated spruce framing, 2” x 10” skirt and 2” x 6” decking. Included in complete docks are heavy duty galvanized inside corner hardware. 14″ Float Pipes with 12″ lateral welded pipe for exceptional stability and strength.